Everyone’s got their own way of participating in the whole “wishing your casual acquaintances happy birthday on Facebook” debacle, but what about celebrities? How can we, the citizens of the world, wish them happy birthday in the way that both requires the least amount of effort and kicks out the maximum amount of weirdness. Enter YouTube user A Happy Birthday Song, who has posted a happy birthday song online for literally hundreds of celebrities, from Maria Bamford to Mariah Carey. 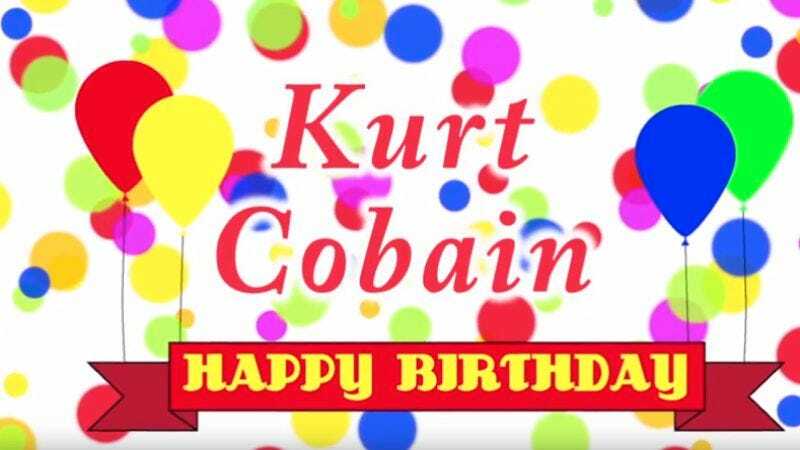 Granted, it’s the exact same song, but with a different famous name dubbed into the track, but at least the sentiment is there—or, rather, it would be if A Happy Birthday’s song weren’t so goddamn creepy. The song is bland and fairly catchy, but still so eerie, especially when you consider that the YouTube page has dozens of versions of the song for long-dead people, including Marilyn Monroe, Kurt Cobain, and Robin Williams. So while it’s sweet or whatever that some random stranger wants to wish MC Hammer, Joseph Gordon Levitt, and Kirk Cameron a happy birthday whenever their joyous day comes around, the sheer volume of A Happy Birthday Song’s output is alarmingly off-putting. It’s like we’re all not individual little perfect snowflakes each deserving of our own kind of love and respect after all.